At first glance, I was a little overwhelmed by Betty’s menu. 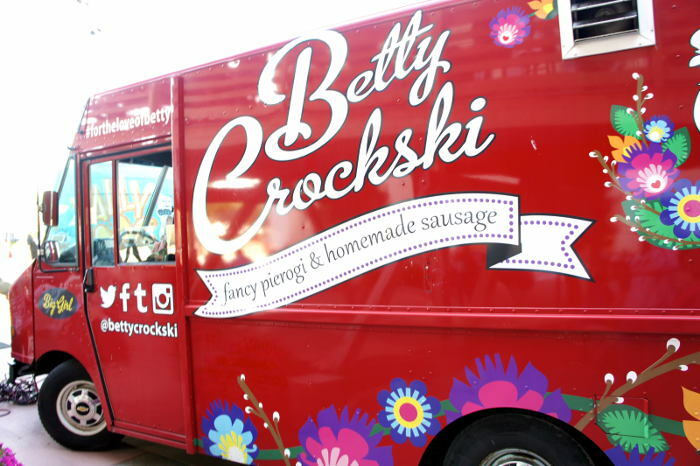 You’ve got choices, but after a quick read through, it’s evident that Betty keeps it focused on some of the best elements of Polish cuisine. What is Betty bringing to the table on a regular basis? 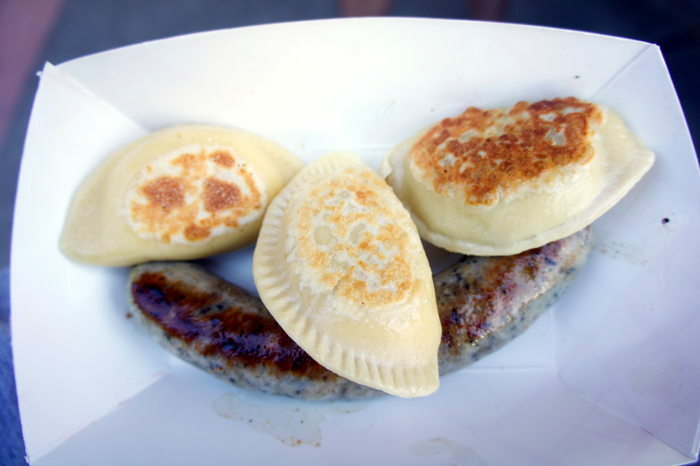 Pierogi of course – cheese, potato, sauerkraut and pork ($2 each), plus homemade sausage for $4, $5 if you’d like it on a roll. Next you have your Open ‘Rogi, the most unique option as far as concept goes. 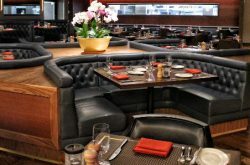 Plus you have a side of plum ‘kraut ($4) and Betty Bites ($2) for dessert described as “mocha brownie with orange truffle frosting in a milk chocolate shell.” Now what? 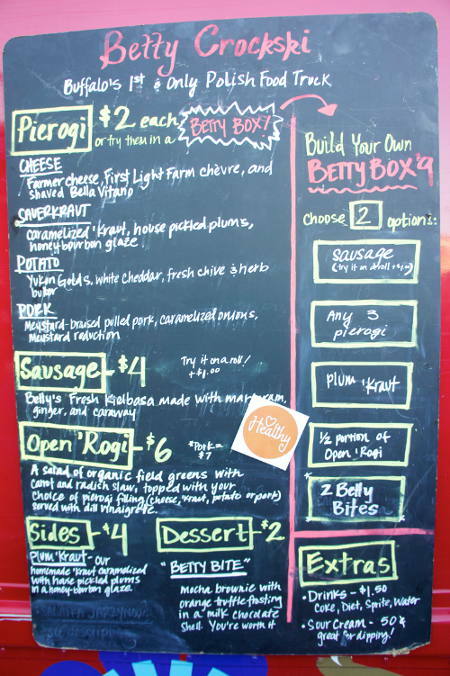 Eager to try everything, we constructed two Betty Boxes, a mix n’ match option right up our alley ($9 each). The first included 3 pierogi and sausage, the second a half portion of Open ‘Rogi and a side of plum ‘kraut. Unsure of the culinary skill backing Betty Crockski, we waited unexpectedly for my name to be called. 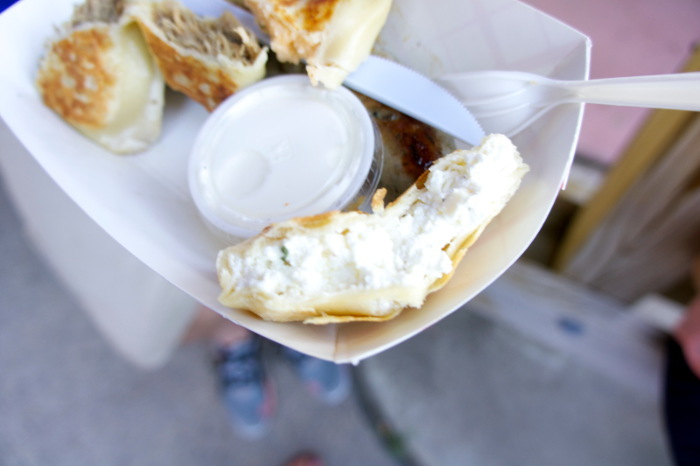 As we dug into the cheese pierogi, we were met with fresh dough and soft, rich filling – Farmer cheese, First Light Farm Chévre and shaved BellaVitano. The flavor was complex and inviting. As I finished, I found myself wanting more but eager to taste Betty’s next creation. 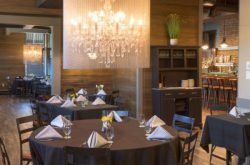 The potato pierogi made with Yukon Golds, white cheddar and fresh chive and herb butter was equally fresh and delicious, both lighter than you might expect. Our third selection was meystard-braised pulled pork accompanied by caramelized onions and meystard reduction. 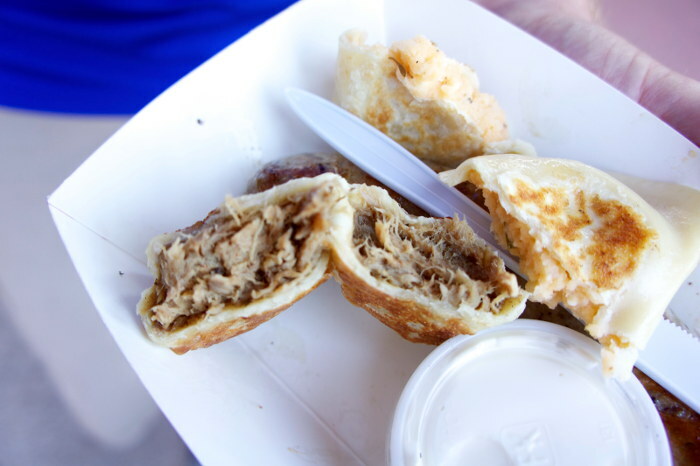 The flavors were subtle and paired well with the lightly crisped outer layer to form several, yet not enough, savory bites. From what I gather, Betty’s “meystard” is a homemade mustard. 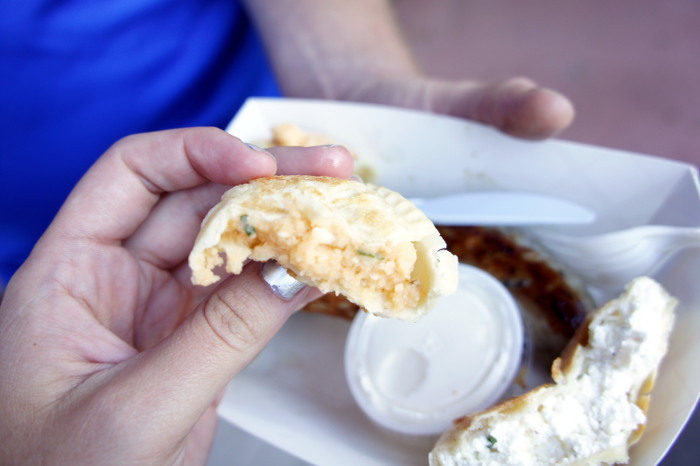 If I had to pick just one “traditional” pierogi, I’d crumble under pressure. They are all great, equipped to delight a sophisticated palate. Speaking of sophistication, it seemed to be the truck’s underlying theme. 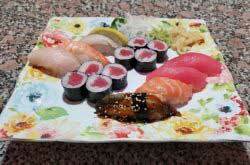 Each menu item had more complex flavor than the last. 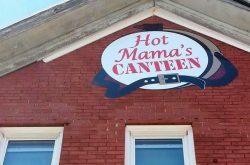 The sausage, described as “Betty’s Fresh Kielbasa made with marjoram, ginger and caraway” was the best Polish Sausage I’ve ever had – surprising sweet flavors filled my mouth with each bite. To my delight, the perfectly balanced sweet and savory meat was never overshadowed by grease. We added a fifty cent side of sour cream for good measure and made use of it on almost everything. 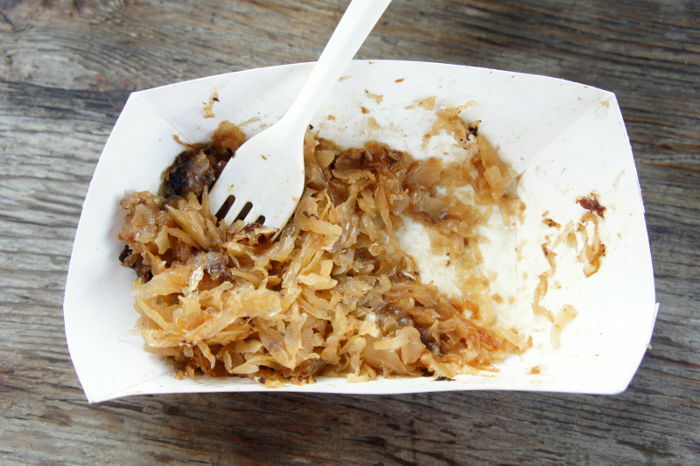 The plum ‘kraut was one dish my companion couldn’t stop complimenting after all was said and done. I’m not one for sauerkraut, but I loved this plum laced cabbage. Unlike the traditional preparation, Betty’s homemade ‘kraut, caramelized with house pickled plums in a honey-bourbon glaze, yielded a lovely balance of sweet and sour. 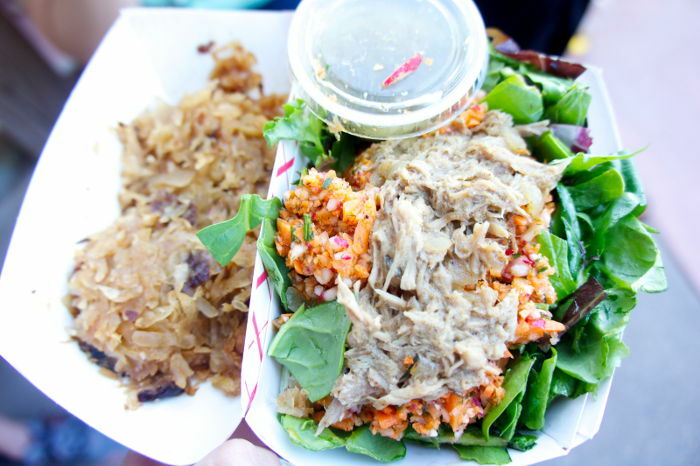 Food Truck Tuesday is making cooked vegetables cool again. At the top of my list for the evening, if you can believe it gets better, stands the Open ‘Rogi in all it’s rebellious glory. Breaking rank, this deconstructed pierogi features “a salad of organic field greens with carrot and radish slaw, topped with your choice of pierogi filling and served with dill vinaigrette.” Pour the dill over this ‘rogi gone roguie and say hello to your new best friend concocted by Betty’s clever creators. The distinct dill flavor paired with the crunch of finely diced slaw parts and moist pork is open faced bliss. Go with the pork option for an ideal pairing. It’s clear that creative minds are at work behind Betty’s recipes. 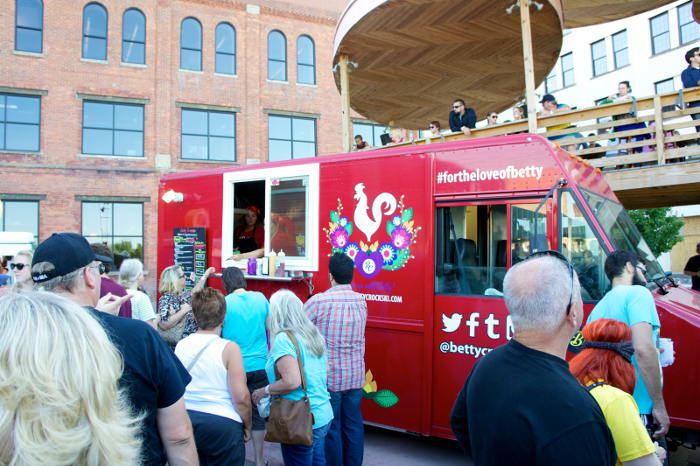 Hers is fare made for Larkin Square’s Food Truck Tuesday, for the new Buffalo. Complexity, forward thinking and boundary pushing seem to be her MO. Not only have they come up with cool ideas for Polish food, they execute flawlessly. I’m excited to see what the women behind Betty come up with next.